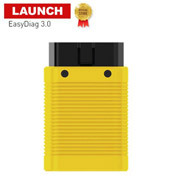 LAUNCH Easydiag 3.0 Plus Bluetooth full OBDII generic code reader/scanner running with Android or IOS features in automotive diagnostics, operational data query, vehicle maintenance, data and information sharing. 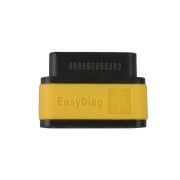 Easydiag 3.0 Plus communicate with the vehicle by the Bluetooth connector (DBScar connector). Most people prefer EasyDiag 3.0 Plus to a one-to-one kit is because when they change their car in the future, all they need to do is to buy the software for their next car instead of buying a brand new diagnostic kit. Compared with LAUNCH Easydiag 2.0 Plus, Easydiag 3.0 Plus is better in the following aspects. The EasyDiag app is free to download in Android Play Store. Step 1: Turn on your Android Smart Device. Google Play can be found in the following url as well:http://play.google.com/store .